A fun and delicious theme for a party is a bakers theme. Kids love to help make and eat yummy baked goods. If you are nervous about having several little helpers in your kitchen, simply do all of the actual baking before hand and have the guests participate by decorating cupcakes or cookies that you make in advance. But let’s face it, the kids will feel even better if they actually get to make the goodies. It’s a good idea to only plan on baking one or two things so having something already baked that the kids can just decorate might be good to fill in time while another dish is baking. For younger kids, it is a good idea to crack eggs and measure ingredients ahead of time and have them in small bowls or cups so that the children can help add ingredients easily. Don’t let the kids pick what items you are going to make. Only plan on baking one or two things during the party. 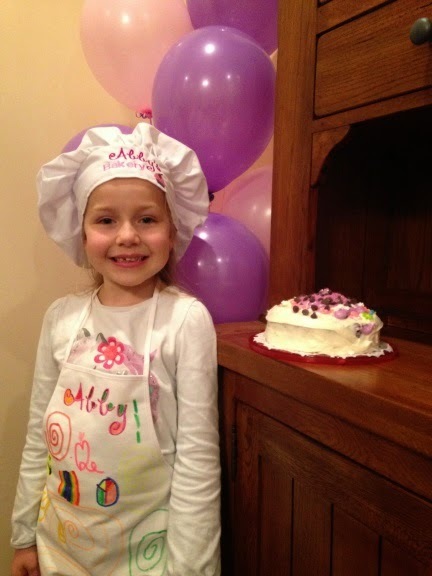 Purchase or make plain aprons for the kids to decorate with fabric markers and accessories. Play games like Don’t Eat Pete, Memory Tray (using kitchen gadgets), Pass the Parcel, Pin the Smile on the Gingerbread Cookie, Cookie Jar (like Fruit Basket but change the fruit to be different cookies like chocolate chip, peanutbutter, ginger snaps etc), Smell it!, Feel it! or Cake, Cake, Pie (Duck, Duck, Goose). With game prizes, baked treats and fun aprons, you won't even have to have a goodie bag. Party Manners Please! Thank You.